India on Thursday voiced its hope that the new government in Pakistan under the leadership of Prime Minister Imran Khan "will work to build South Asian region terror-free" rather than indulging in polemics. 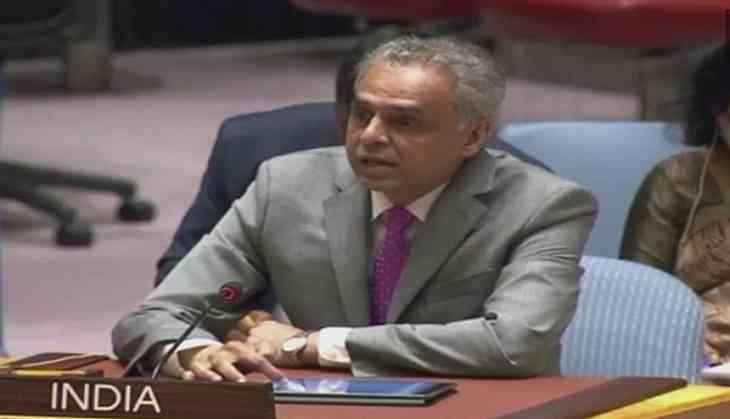 Speaking at UN Security Council, India's Permanent Representative to the UN, Syed Akbaruddin said, "We hope the new government of Pakistan will, rather than indulging in polemics, work constructively to build a safe, stable, secure and developed the South Asian region, free of terror and violence." While addressing the UN Security Council's open debate mediation and settlement of disputes confronting Pakistan's repeated references to the disputed territories, Akbaruddin said, "We remind Pakistan, the one isolated delegation that made unwarranted references to an integral part of India, that pacific settlement requires pacific intent in thinking and Pacific content in action. Regurgitating a failed approach, which has long been rejected, is neither reflective of pacific intent nor a display of Pacific content." On August 20, Pakistan's newly-appointed Foreign Affairs Minister Shah Mehmood Qureshi had claimed that Indian Prime Minister Narendra Modi wrote a letter to Prime Minister Imran Khan indicating the beginning of a dialogue between the two nations but later Pakistan denied making any such claim and blamed Indian media for misquoting Qureshi. Denying Qureshi's claim, sources in India had also emphasised that there was no fresh proposal for the resumption of dialogue between the two countries.